When you are logged in, you should see a + button in the top right next to your profile image. When you click this button and you do not yet have linked a GitHub account, you will be redirected to GitHub and asked for permissions. We do that - also for Plain Git repositories - since many projects have dependencies that are hosted on GitHub, and having a GitHub access token allows us to prevent you from running into any API rate limits when we are downloading those dependencies either for analysis, or as part of running your test suite. 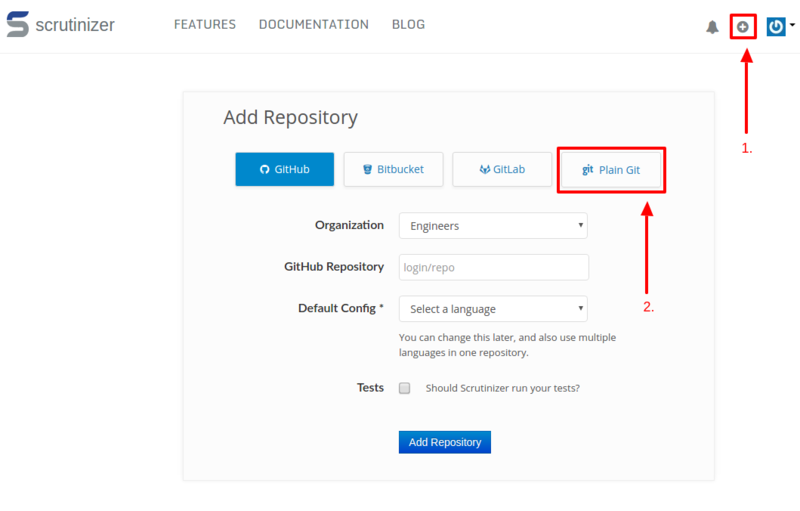 When you click on the Plain Git Repository button, you can then add your repository.